Some people are blessed with the ability to meld art and science. 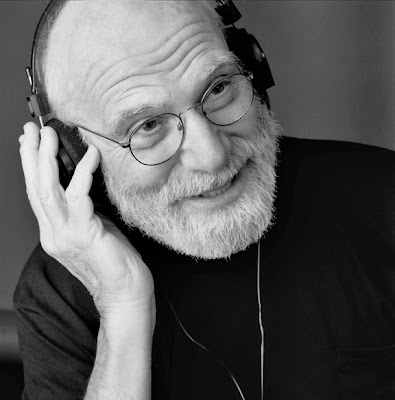 Oliver Sacks is one of those people. As he told Scott Simon on "Weekend Edition Saturday" in a 2001 interview, "a lot of science is stories." Sacks has told his share of stories, through such renowned works as The Man who Mistook his Wife for a Hat and Awakenings. Sacks learned early that he wasn't cut out for cold, experimental science alone. His memoir, Uncle Tungsten, tells the story of a young man surrounded by family members who were scientists and doctors -- every one of them intensely passionate about their work. His mother, a surgeon and professor of anatomy, hoped her son would follow in her footsteps. When Sacks was 14, she took him to the Royal Free Hospital in London to watch -- and take part in -- the dissection of a human corpse. "I was very shocked and frightened," he told Simon. "I had never seen a corpse before. It was suggested that I dissect a leg, and the professor said, 'here's a nice leg for you'." Although Sacks had dissected plenty of worms and frogs before, this business of cutting up a human body was altogether different. And more disturbing for him, the body was that of a girl his own age. "I wanted to ask, what happened? How did she die? How did she find her way here?" Still, beneath the horror, there was fascination. "Sometimes, when I looked at the anatomy of the knee and so forth, I could enjoy the beauty of it -- the way my mother did," he says. He carried that fascination into adulthood, and made it the cornerstone of a career of making neuroscience interesting and accessible to a general audience. "I think I'm intrigued by the tissues of the mind, and social tissues," he says. Only someone with a true emotional investment in science could wax so poetically about, of all things, the periodic table of the elements. "I never tire of looking at the periodic table," he says. From it, he gets "a sort of ecstasy." When he first saw one as a child, it was a revelation that gave him "a tremendous sense of neatness and of order in the universe. "And I could hardly see the periodic table as a human construct. I thought it was sort of inscribed in the heavens. For me, it's always been the exemplar of science, and of scientific beauty." 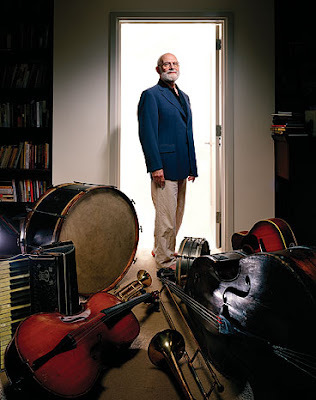 Sacks's latest book is Musicophilia, an exploration of the musical mind. As in his previous works, Sacks describes a series of ordinary people transformed by their extraordinary neurological conditions. Sacks has always been enthralled by music. One of his earliest childhood memories is the sound of his mother singing Schubert Lieder in the drawing room. As a teenager, he spent endless hours "trembling" to Mozart symphonies, transfixed by feelings he couldn't comprehend. Music has also played a crucial role in Sacks's work as a neurologist. In his writings, he uses music as a metaphor for his unusual approach to medicine. He cites a Novalis aphorism -- "Every disease is a musical problem; every cure is a musical solution" -- in several books, usually when discussing the therapeutic powers of music. But it's clear that Sacks also believes in a deeper, less literal connection between medicine and music. Music encapsulates two of the most essential aspects of his work: listening and feeling. The art form is the model for his method. As a doctor, Sacks is exquisitely attentive, not just to the symptoms, but also to the person. He treats each patient like a piece of music, a complex creation that must be felt to be understood. Sacks listens intensely so that he can feel what it's like, so that he can develop an "intuitive sympathy" with the individual. It is this basic connection, a connection that defies explanation, that allows Sacks to heal his patients, letting them recover what has been lost: their sense of self. I've just learned that Dr. Sacks will lecture on the ways in which art and science intersect -- next Thursday, May 15, at Fisher Landau Center for Art in Long Island City. 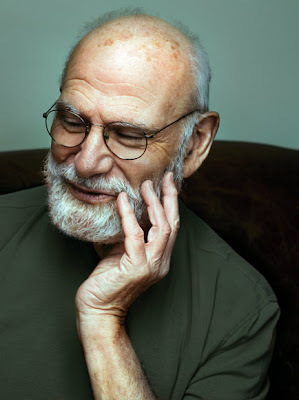 And (wahoo and yippee) on Friday, May 30, Dr. Sacks will speak at the Met. In a wide-ranging conversation, Oliver Sacks and NPR Science Desk correspondent Robert Krulwich will "shed light on the interplay between what the eye sees and how the mind perceives it," touching on topics including stereo vision, how blind people can be paradoxically hyper visual -- and the mechanisms of visual hallucinations. See you there. I'll be the rapt (read nutball) audience member seated with my stack of Sacks-authored books (nine in all) for signing. Buy tickets to the Met event here. :the mind's eye, new yorker abstract; musicophilia: tales of music and the brain, times of london; the abyss: music and amnesia, new yorker. I admire him - a scientific mind with a wonderful flair for story-telling. He has great humanity. My D is similar in his melding of interests in science and poetry. And it's one of the things that makes him a fascinating life partner! Just a quick note to say your blog is so interesting and inspiring...as usual! Wow, what great information about Dr. Sacks. I have that new book in my to-read pile and now I think I will move it to the top of the stack. How lucky that you will get to see him in person. Events like that are such wonderful opportunities.